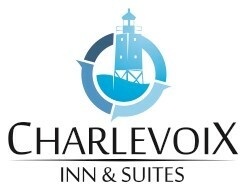 Charlevoix Inn & Suites is located between Lake Michigan and Lake Charlevoix, in the Great Lakes area of Northern Michigan, and only a mile away from downtown Charlevoix. The Great Lakes is a region of postcard-perfect views and is well-known for its prime fishing, kayaking, skiing, and hiking. We are located within easy walking distance of Depot Beach on Lake Charlevoix. You'll also find the Little Traverse Wheelway—a meandering and scenic 26-mile long bike trail with a boardwalk and road sections that overlook Lake Michigan. This is the ideal place to stay when trying to find the perfect hotel near Lake Michigan and Lake Charlevoix. Fisherman’s Island State Park offers 80 rustic campgrounds with 15 of these stationed near the shores of Lake Michigan. Boasting 6 miles of unspoiled beaches, Fisherman’s Island State Park is ideal for those looking for a quiet nature getaway. The park's namesake island no longer exists due to low water levels, but what’s left now is a beautiful peninsula teeming with wildlife that's great for swimming, hunting, hiking, and camping.